With super-fast print, scan, copy and fax performance, plus robust, comprehensive security for your small business and work groups of up to 10 users, this HP wireless printer helps make sure you get everything done during a busy day. This multifunction wireless laser printer syncs easily with compatible mobile devices or laptops with minimal setup required. Color LaserJet Pro features built-in Ethernet to quickly sync with your existing wired network. Color printing, scanner, copier, fax, network and wireless printing, mobile printing, AirPrint, 4.3" color touch screen and 50-sheet auto document feeder. Up to 28 pages per minute (ppm) in black and white as well as color. Get your first page out as fast as 8.9 seconds in black and as fast as 9.8 seconds in color. Best-in-class security and management features. Keep your printer secure — from boot up to shutdown. Get the professional quality and color you need with HP ColorSphere3 toner. Easily manage tasks with the 4.3" intuitive color touch screen on the Color LaserJet Pro MFP M477fnw. Supports letter, legal, executive, 3" x 5", 4" x 6", 5" x 8" and envelopes (No 10, Monarch). Automatic duplexer: Letter, legal, executive. Shift your office into high gear with this powerful color MFP that doesn’t keep you waiting. 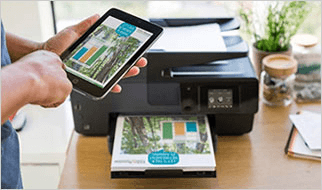 Print your first page faster than the competition, and scan quickly.1 Help keep your device, data, and documents safe—from boot up to shutdown. Keep your business nimble when needs shift or opportunity strikes—in the office or on the go.5 Print wirelessly with or without accessing the network.6 7 Stay connected with Ethernet and easily work from right where you are. linpru1: Not able to connect with wifi with my Apple computer!!!! Easy to install and easy to use! TexasStar01: The print quality is the best I have ever had, be it a copy or something I have scanned. Highly recommend to anyone who is tired of constantly buying ink cartridges for their printer. Worth every penny because the savings will outweigh the cost within the first year! What are you waiting for? This is YOUR new printer! Laura695: I like the manual feed tray for envelopes, labels or special paper. 3 Microsoft and PowerPoint are U.S. registered trademarks of the Microsoft group of companies. Feature works with Microsoft Word and PowerPoint 2003 and later. Only Latin language fonts are supported. 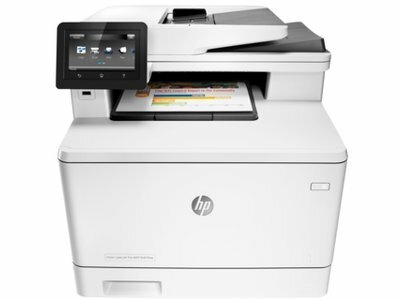 6 Feature is only supported by the HP Color LaserJet Pro MFP M477fdw and M477fnw. Wireless performance is dependent on physical environment and distance from access point, and may be limited during active VPN connections.